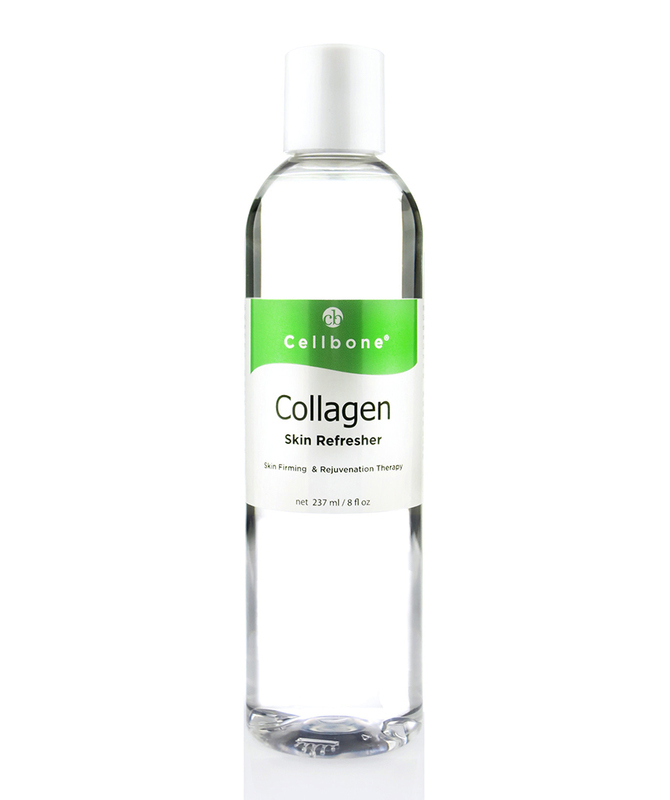 Collagen skin refreshing Toner helps remove dead skin cells, excess oil, and any residue after cleansing. Collagen refreshing toner will stimulate new skin cells and promote a clear, smooth, healthy looking complexion. Every time you use our collagen skin refresher, your skin will be hydrated, firmed and rejuvenated to maintain youthful skin without drying the skin. Use after Cleanse twice daily. Saturate cotton - gently wipe face and neck. Follow with Cellbone Hydra B5+ gel or moisturizer of your choice.